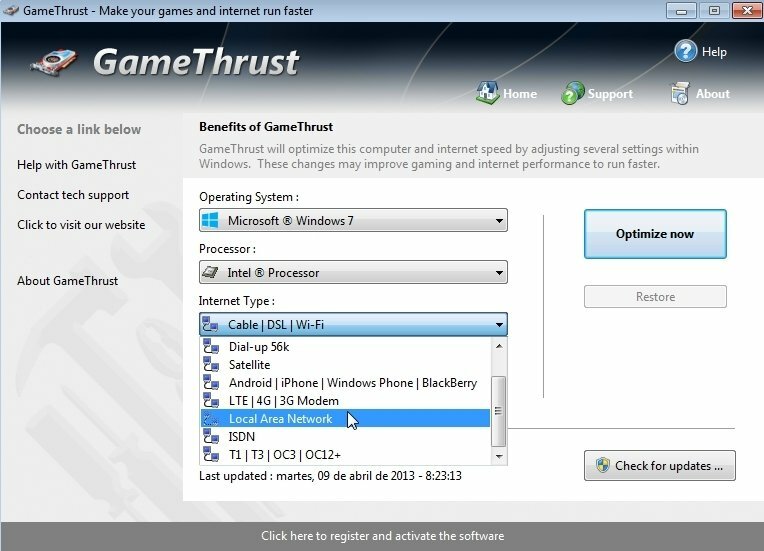 GameThrust is a simple application with which you will be able to optimize your Internet connection in a matter of minutes, in such a way that you will be able to improve your gaming experience while playing on the Internet, because it optimizes certain configurations. The program's interface is surprisingly simple, because it only includes a couple of controls, thanks to which you will be able to use all the tool's functions. 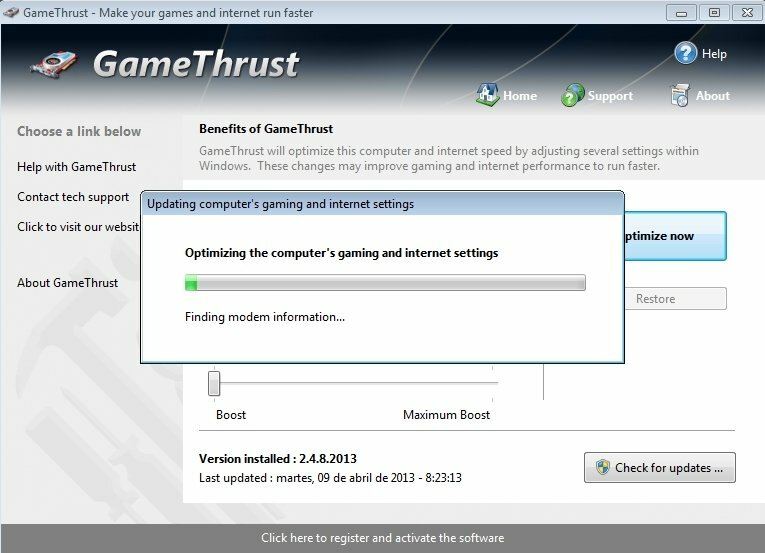 After selecting the kind of connection that you have available and specifying the speed that you want to gain, you will only have to press a button to apply the changes and afterwards try any of the games that you usually use to compete against other players on the Internet, to be able to check if the changes have had any effect. 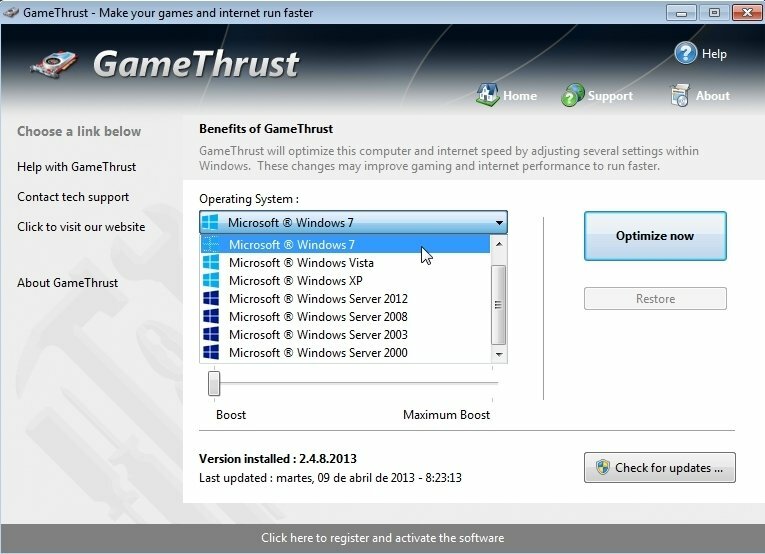 The program is part of a collection of tools developed to optimize the functioning of any computer. 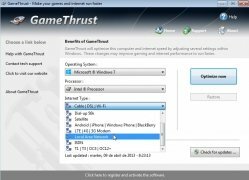 Download GameThrust and discover the best method to be able to optimize your online games and avoid that games run so slow. 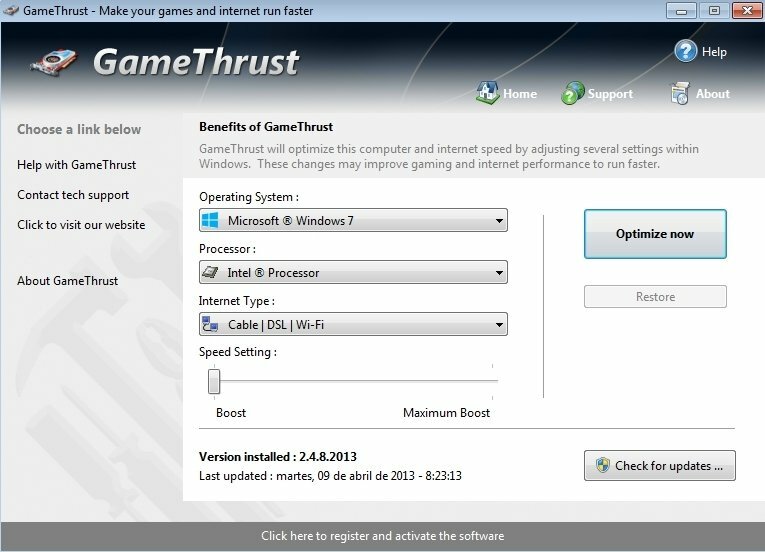 The trial version doesn't allow you to optimize the connection to the maximum extent.